Greetings and Happy Holidays from your Account Managers at Gooffers.net. We hope you are doing well and that you’ve enjoyed a Wonderful Thanksgiving and Holidays to come. As a Holiday Special, We’ve been thinking of ways to give back to our Affiliates for all of the hard work and time you’ve put into running our campaigns to the best of your ability. We are offering few cash bonuses in the next few weeks to those Affiliates that can generate and show the best improvement in their stats. We’re sure the extra cash will be plenty helpful in your Christmas Shopping! 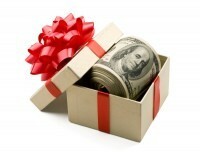 Generate $2,500 by December 15, 2012 = Receive $100 Cash Bonus or Gift Card of Choice. Generate $5,000 by December 15, 2012 = Receive $200 Cash Bonus or Gift Card of Choice. Generate $10,000 by December 15, 2012 = Receive $500 Cash bonus or Gift Card of Choice. Generate $10k+ by December 15, 2012 = Matching Cash Bonus of over $500.